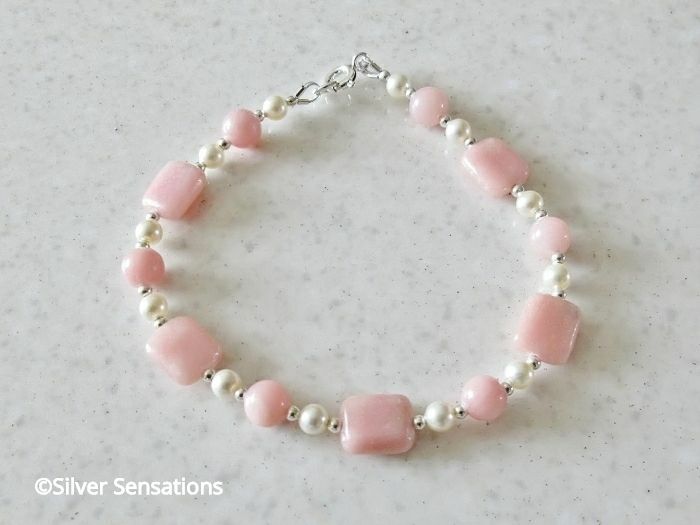 A unique pink & ivory ladies bracelet where I chose these beautiful pink Morganite beads & teamed them with ivory Swarovski Pearls for an even more feminine design. 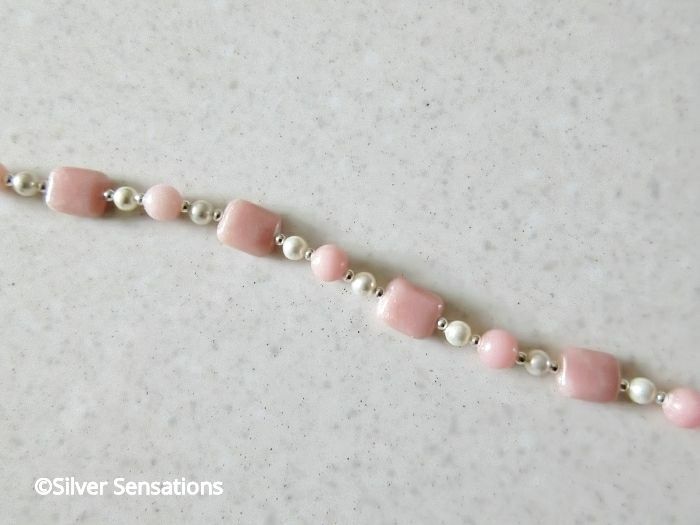 There are Morganite oblong beads which are are 10mm x 8mm in size alternating with matching 6mm pink Morganite round beads. 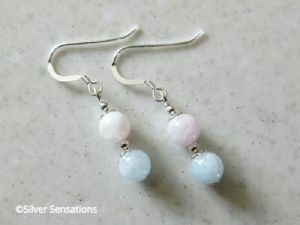 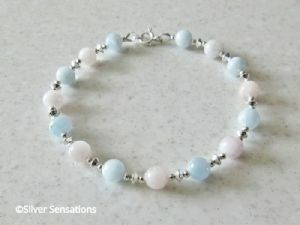 Between each of these semi precious gemstones is a 4mm ivory cream Swarovski Pearl from the Swarovski Elements range & small seamless Sterling Silver beads. 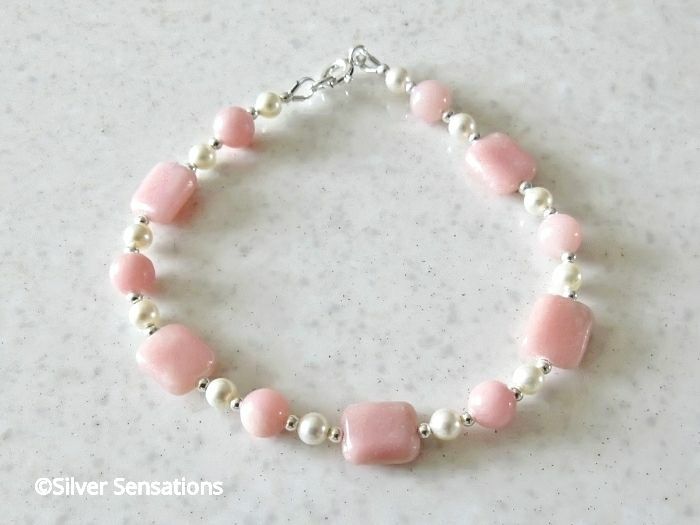 This unique handmade designer bracelet, has a wearing fit of just over 7.5" & is finished with Sterling Silver fittings and bolt ring clasp fastener. 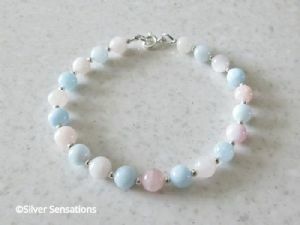 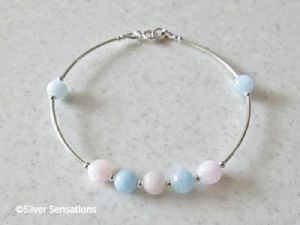 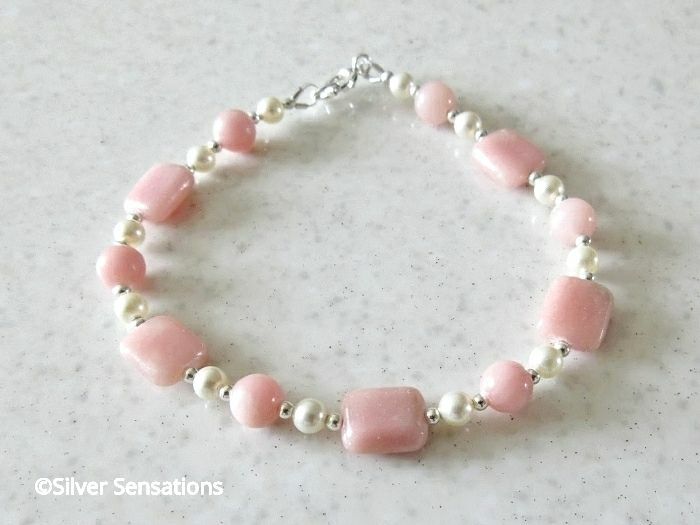 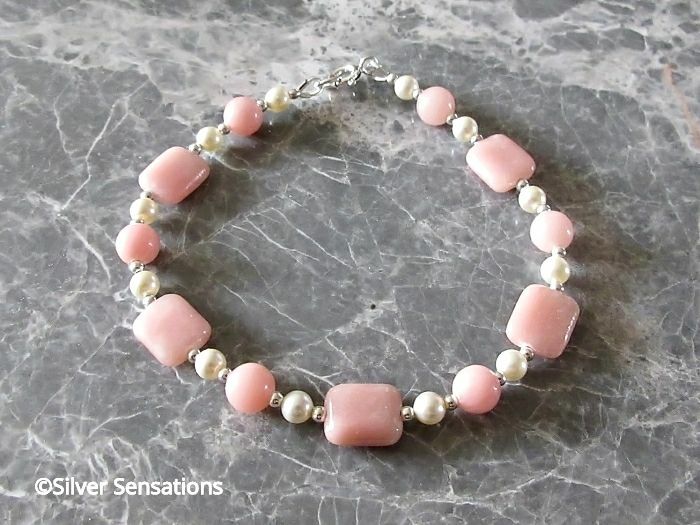 A very feminine bracelet which can be worn at any time & the wearer will know they have their very own unique piece of jewellery, as I'm not able to find any more of these pretty gemstones. 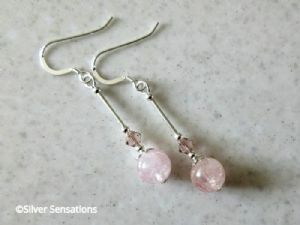 Wearing Fit - Just Over 7.5"